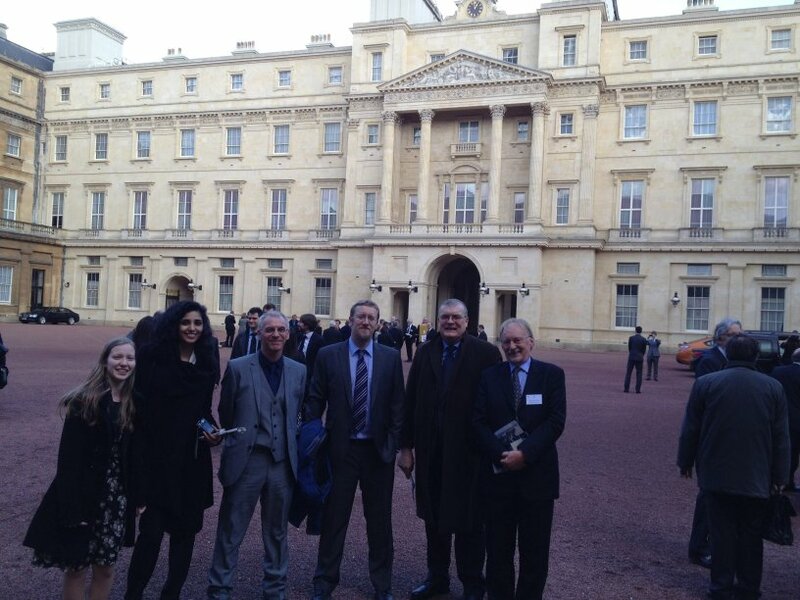 On 27 February, ten members of the university led by the Chancellor Lord Grocott and the Vice-Chancellor Professor Sir Robert Burgess received the Queen’s Anniversary Prize for Higher and Further Education at a ceremony at Buckingham Palace. These prestigious biennial awards are the highest form of national recognition open to a UK academic or vocational institution and a mark of the outstanding work at world-class level conducted at the university. This is the third time in two decades the University of Leicester has won the Queen’s Anniversary Prize – previous awards going to the University for work in Physics and Astronomy, and Genetics. The 2013 award submission was led by ULAS in recognition of our research and outreach work, highlighting the Highcross Leicester, Hallaton Treasure Hoard and Burrough Hill projects and culminating in the remarkable discovery of the burial of Richard III in 2012. Richard Buckley and Patrick Clay, co-directors of ULAS, and Lin Foxhall as Head of the School when the Richard III discovery was made were present along with three former students Mathew Morris, Site Director of the Grey Friars Project, Vicki Score, Director of the Hallaton Project, and John Thomas, Co-director of the Burrough Hill training excavation. In addition, two current students Giulia Chakkalakal, top performer in single subject archaeology, and Amy Wale, top performer in 2nd year joint honours made up the team. 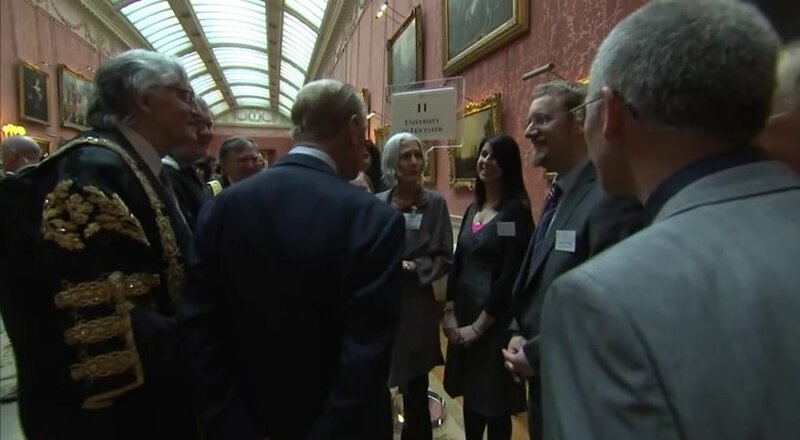 ULAS staff chatting with the Duke of Edinburgh at Buckingham Palace. During the ceremony in the Ballroom at Buckingham Palace, the Vice-Chancellor and Richard Buckley received the the prize medal and scroll from the Queen and Duke of Edinburgh who both expressed an interest in the Richard III project. The Queen light-heartedly asked the Vice-Chancellor whether it was true Richard had been found under a car park but generally seemed well-informed about the project. Following the ceremony the team assembled in the Picture Gallery for an informal visit from the Duke who was amused over the furore over where the king was to be reburied. With canapés and champagne flowing we also heard from one of the Prize judges that our entry, incidentally the only humanities winner, took the shortest time to be judged. 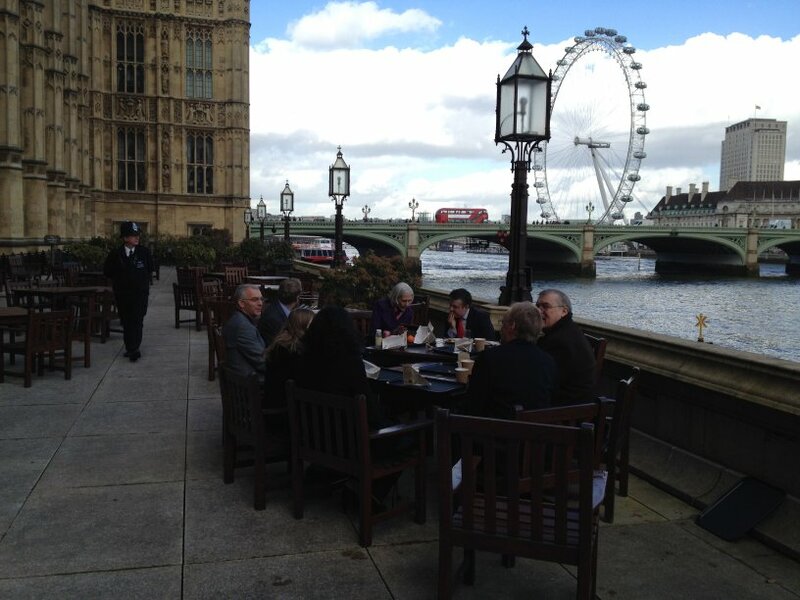 Lunch at the Houses of Parliament (red bus and policeman specially arranged for photo…). Following the presentation we moved on to the Houses of Parliament where, as guests of John Ashworth MP for South Leicester, we had a tour including the magnificent Westminster Hall, lunch on the terrace and a visit to the roof of the House of Commons (made famous by the TV series House of Cards – the British version that is). Congratulations to all involved. Although only a few could attend the presentation the Queens Anniversary Prize is a reflection of all the outstanding work of ULAS and the School over the last 20 years. 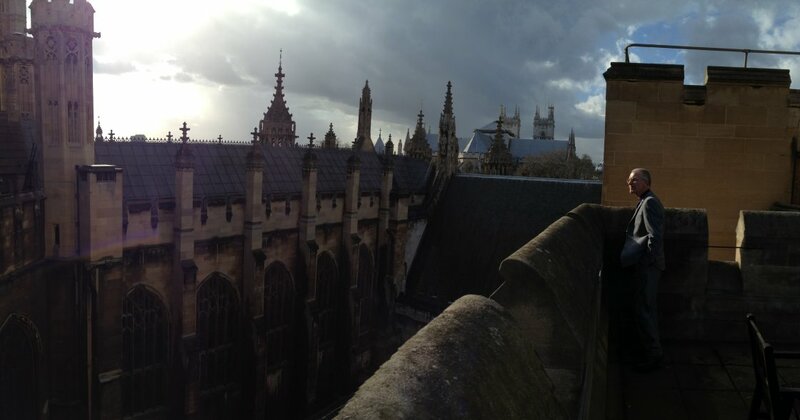 On the roof of the House of Commons.